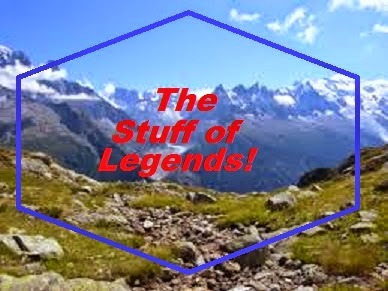 Welcome one and all, to another installment of The Stuff of Legends. Now, if you’ve been paying attention to my posts, you may remember that I said in the past that my first major folklore obsession was actually with the tall tales and legends of the United States. I also thought that since February is Black History Month here in the US, that maybe I should talk about the one and only John Henry. You all know John Henry, right? The famous steel-driving man of great strength. He was able to be a steam drill at its own game even though it cost him his life. John Henry has long been at the top of the list of great American folk heroes alongside the likes of Paul Bunyan and Pecos Bill (who he, incidentally, made appearances with in the Disney film Tall Tale). 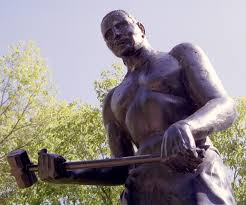 John Henry has come to be known for years as a symbol of strength and the ability for man to surpass machine. People continue to promote his legend, including through a Disney short made in 2002. On top of all this, he also managed to inspire at least one DC Comics superhero (though, the author of the book I’m about to talk about claims he inspired all superheroes). Now, for ages, there was no evidence to support the notion that John Henry had ever been a real person. Many legendary figures out of American folklore had been created largely to suit a location and profession rather than based on a real person. 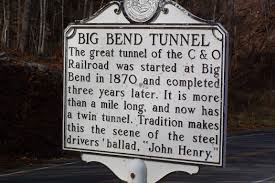 The various ballads and songs about John Henry point to him dying while working on the Big Bend Tunnel. There’s even a statue of him erected in a nearby town. with the subtitle of John Henry, The Untold Story of an American Legend. Nelson looked at a number of different versions of the song “John Henry” and found one version that led him down a different path. One specific version of the song mentioned something about “they took John Henry to the white house and buried him in the sand”. Now, this led him to the old Virginia State Penitentiary which used to have one building painted white in stark contrast to the other prison buildings which had been brick red. It also led him to a recent discovery of a number of bodies that had been buried beneath the penitentiary which seemed to have layers of sand between them. 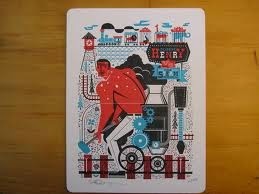 The unmistakable conclusion: John Henry had been a prisoner! After much badgering of the staff at the Library of Virginia, he was able to find his most unusual candidate for the real John Henry. John William Henry was a native of New Jersey who had worked for the Union army during the Civil War. He had been arrested for housebreaking and theft in Elizabeth City under somewhat questionable circumstances. 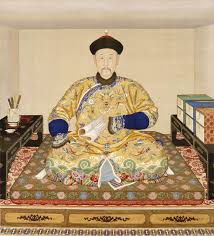 Standing at 5 foot, 1 inch tall, John William Henry seemed a strange inspiration for the tall, strapping legend that he would eventually inspire. With a little more digging, Nelson found out that a number of convicts had been leased to the Chesapeake and Ohio Railroad Company and had been put to work alongside steam drills to dig the Lewis Tunnel (not the Big Bend as so many people thought). The way Scott Reynolds Nelson tells it, the song of John Henry was not originally a song about the strength of an American folk hero as it was a cautionary tale for those who were sent to work on the tunnels for the railroad where silica particles could clog your lungs leading to disease and people could be worked to the point where they died of exhaustion. From that point forward, the book doesn’t follow the railroad workers anymore or the now deceased John Henry but instead follows the legend and the song. The legend took on many faces as it moved from place to place. Convicts turned it into a one of the first blues songs, with a focus on John Henry and his wife Polly Ann, questioning her fidelity. Trackliners working for the railroad turned it into a bragging song and coal miners turned it into a ballad or story song. He even mentions the use of John Henry as an image for labor union and American Communist Party recruiting posters. He even claims that young men living in the Lower East Side of Manhattan like one Jacob Kurtzberg (aka Jack Kirby) used this image of the burly, muscle-bound John Henry to inspire the image of the world’s first superheroes. Now, do I believe that Scott Reynolds Nelson has discovered the real, honest to goodness inspiration for the legend of John Henry? Well, I believe that it’s certainly possible. However, I’m not 100% convinced. The name John Henry sounds like it could be such a common name that it could not only belong to any number of real life people as well as someone just created for the legend. The really interesting part of the book is the part where Nelson follows the evolution of the legend itself and what it came to mean for various different people in various different professions. For people who have an interest in folklore and the transmission of folklore, that alone is worth the price of admission. Here are a few links to places where you can hear or read the various versions of the song: “John Henry: The Steel Driving Man”, “John Henry Blues” and “Southern Mosaic”. However, whether there was a real John Henry or not, his story and song became something that could either warn or inspire a whole lot of people. That’s more than enough to make the steel drivin’ man John Henry into THE STUFF OF LEGENDS! It’s awards season again! 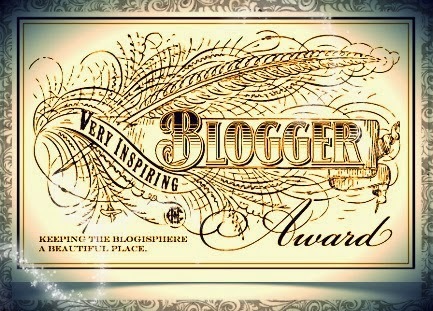 We just had the Grammys and now right here on the blogosphere we have the Inspiring Blogger Awards. Now, a week or two ago, my associate InkGypsy gave me one of these most coveted awards. Now, I’ve decided to do my part to award this to several other bloggers. One of the issues is that it seems as if me and Gypsy have similar tastes in internet reading material. So, I had to dig deep and think back to some of the blogs I once read that I have fallen out of touch with. They’re still inspiring though, because they’re what taught me what a blog even was. 1) My favorite animal is the gorilla. This is unfortunate, seeing as gorillas rarely appear in folk and fairy tales. I’ve never even encountered one in an African tales. I’ll keep looking, though. 2) I once interned at a library that used to be an old train station. A train would still occasionally pass by, which would cause kids in the library to go wide-eyed. 4) I wasn’t always a fairy tale fan. 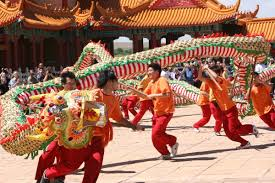 I became interested in folklore first by learning about American tall tales and legends when I was in cub scouts. After that, reading comic books led me to reading Greek mythology. Then, it was a high school elective course entitled “Fantasy Through the Ages” that led me to folk and fairy tales. 5) I once tried to write a novel based on the story of “Jack O’Lantern”. You remember Jack, right? Anyway, I doubt a finished product of that will ever see the light of day. 6) When asked what my favorite novel is, I will always say Frankenstein by Mary Shelley. Part of this is because I had to read it multiple times in college for the various Humanities courses I took. So, while I rarely feel the need to read it again, I feel like I know it better than any other book. Being a classic monsters fan since I was 10 probably doesn’t hurt. 7) I am currently quite addicted to playing Pokemon X. I’m kind of a semi-casual gamer, but these games have a habit of drawing you in. It’s actually making me consider starting a series on the influences of folklore on video games. There are more than you’d think, especially when it comes to the Japanese lore. - Amy-Elize Brown of Asleep in the Woods. She seemed to come into the blogosphere around the same time I did. Or maybe, that’s just when we discovered her. Amy is a creative writing student with an interest in fairy tales, particularly “Sleeping Beauty”. She always writes interesting, readable pieces on fairy tales and when she responds to commenters, it always seems to spark fun discussions. She’s a bit busy with her dissertation right now, so she doesn’t blog all that much at the moment. However, her sudden appearance on my radar reminds me that meeting new people with similar interests is one of the most “inspiring” parts of being part of the blogosphere. - The fine folks at The Fairy Tale Lobby. 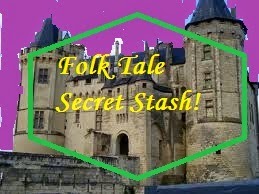 The Fairy Tale Lobby is a blog for oral storytellers being run by a discussion group under the auspices of the National Storytelling Network. If that sounds a bit stiff and professional, don’t worry. The blog itself is actually quite an entertaining thing to read. That’s because it’s all done in character. The concept is this: the Russian folk tale character Vasilisa the Wise runs a place called the Fairy Tale Lobby. However, she’s often too busy taking care of various impossible tasks, so she leaves her simpleton friends Sagacia and Simplia to field questions and pose them to the group. The end result is like a discussion within a tale which is both entertaining and enlightening to those who use fairy tales for performance. - We go from one character hosted blog to another. This one is Comics Oughta Be Fun by Bully. Yes, a comic book blog had to make it in here somewhere. I was way into comic books before I was way into fairy tales. Now here’s the thing about Bully: he’s a little stuffed bull. It’s a blog hosted by a stuffed animal (I’m pretty sure he has some help with this). Bully’s posts are usually cute and amusing with lots of colorful pictures. Bully projects a certain wide-eyed innocence and enthusiasm that often feels like the antidote to the cynicism and negativity that often gets associated with comic book fandom. -Next, we have the illustrious Peter David. Yes, THE Peter David, Writer of Stuff. Peter David’s blog was probably the first blog I ever read. I first discovered Mr. David’s work through the hilarious teen superhero comic Young Justice. After that, his blog became regular reading material. David would frequently through his blog give insight into the worlds of writing and publishing as well as his own political views as well as the wit and humor he’s often known for. Not that long ago, PAD (as he’s known among his fans) suffered some medical issues that stopped his posting for a little while. However, it looks like he’s back at it, which makes me happy to see. Here’s to you, PAD! -Now, for this last one, I’m not even sure it counts as a blog. I think the people who run this site may view it more as a media news and review site. However, the award is called “Inspiring Blogger Award” and to me the Brotherhood of Evil Geeks are inspiring. The Brotherhood are a group of fantasy and science fiction fans from my neck of the woods who banded together to give the internet their views and opinions on comic books, movies, TV, video games and everything else in “geek culture”. What makes these guys inspiring is that I know these guys! Well, I don’t know them personally. But I’m pretty sure I’ve run into a number of them at Earthworld Comics. When these guys launched their website, I started thinking “if they can do it, I can do it”. Then I did it. That’s it. Wait, is there and “Inspiring Vlogger Award”? Vlogger as in “Video Blogger”. Well, I guess I’ll just make one up then. For the “Inspiring Vlogger Award”, I choose Dael Kingsmill. She’s probably best known for her offbeat retellings of myths on the Geek and Sundry YouTube channel. However, she also has her own channel called Monarchs Factory where she posts about everything under the sun. She’s even started doing fairy tale retellings she calls Fairy Daels. Always fun, always entertaing and with a great on-camera presence. She wins the first honorary Inspiring Vlogger Award. I just ask that you do the cool thing of granting the award to other bloggers who inspire you. Hello, one and all, both fairy tale fans and pop culture aficionados alike. Now, you all know my feelings on Disney but you may have also noticed that I don’t do a lot of blogging about the infamous “princess culture” or “princess industry” that’s sprung up around Disney’s popular movies and merchandising. That’s largely because I feel there are many bloggers on the internet who are far more suited to the task of covering the subject. There are generally issues regarding child development and modern feminism that are a bit outside my area of expertise. There are also much savvier pop culture minds that have done pieces on it. I can link you to pieces by both the Nostalgia Critic and Nostalgia Chick that bring up interesting points (warning, the language may get a little coarse). Also, I can’t forget the pieces done by my associate Ms. Kristin from Tales of Faerie. However, there is something that came up recently that made me want to say a little bit about this whole thing. Just recently I read in an article on Nerdist that Disney was going to introduce its first Latina Disney Princess. Her name would be Elena of Avalor and she would be introduced on the Disney Junior show Sofia the First. After that, she would be spun off into her own show (presumably also on Disney Junior). Now, I’m not against the creation of a Latin princess character. I’m all for it. However, there’s something about the way they’ve gone about this that bothers me. Now, I imagine everyone here knows about the Disney Princess brand. If not, I suggest you take a stroll down the “pink aisles” of your local toy store. You’ll figure it out. Not willing to take a trip to Toys R Us? Okay, I’ll indulge. 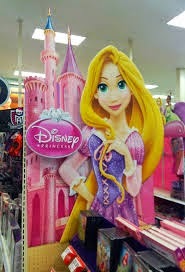 The Disney Princess brand is one created to group together a number of largely unrelated female characters from Disney animated movies in a merchandising line aimed at little girls. You’ll notice the mention of animated movies. All the characters came from movies. Princess Elena, however, does not. She will be getting her own cartoon series. Yet, they chose to introduce the character first. They particularly chose to play up her status as a non-Anglo-Saxon ethnic character. Now, I may be wrong but it feels like they created a Latina princess character not because of a story they wanted to tell but because they felt that they needed to have a Latina princess character. As if they had to fill a quota or please a demographic. If we look at the other non-Caucasian Disney princesses, you’ll see they generally come from more of a story-first situation. Jasmine stems from creating a movie based on one of the Arabian Nights stories. Mulan stems from Disney adapting a Chinese legend. Pocahontas comes from Disney being inspired by events in American history (albeit inaccurately). Tiana stems from Disney wanting to set a movie amidst the largely African-American culture of New Orleans. Is there some sort of Latin American folk tale, legend or history that Disney is particularly interested in working from? It doesn’t look like it. There’s always something that seems a little bit phony about creating ethnic characters just for the sake of creating ethnic characters. The whole thing reminds me of the ethnic superheroes that popped up on the 1970s cartoon Super Friends. Amidst all the comic book favorites like Superman, Wonder Woman and Aquaman were suddenly characters with names like Black Vulcan, Samurai, Apache Chief and El Dorado. While memorable in their own way, it was clear to everyone that they existed just to fill a roster slot. They had no pasts and no personalities to make them more than that. So, is Elena of Avalor destined to just be the El Dorado of the Disney Princess brand? Maybe not. They are giving her a TV show. So, they seem willing to do some work with her to make her more than just a token. However, the whole thing does make a person think about the commoditization of fairy tales. It makes you think about how fairy tales can be packaged and have a price put on them. Not only that, it makes you realize that they’re not even selling whole fairy tales. They’re selling pieces of fairy tales. They’re selling archetypes and character types without any story even attached, designed to appeal to specific demographics. 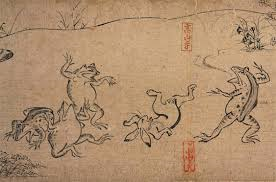 Traditionally with fairy tales, characters were of stock types while the story was everything. It’s not so anymore. The story can come after the character now. However, I’m probably getting ahead of myself. Disney hasn’t even officially rolled out this new character yet. I wish them luck and I hope they can create many wonderful stories with Princess Elena of Avalor. 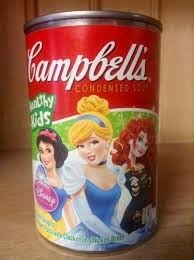 There's even princess soup, people. Princess soup! But seriously Disney, if you want to borrow my copy of Latin American Folktales, just ask.